Your best soccer tips site in the world which proved by the worldwide soccer supporter, online since 2008. Our members from Singapore, Malaysia, Thailand, Indonesia, Philippines, Vietnam, Hong Kong, Taiwan, China, India, Turkey, Georgia, Finland, Denmark, Greece, England, Ireland, Scotland, Spain, Italy, Canada, United States and etc have fully support us to continue providing a more quality soccer tips site. At www.unlimitedsoccertips.com we always want to proof our service to provide a genuine and honest services. 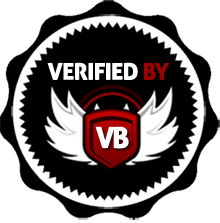 In year 2013 we register with an independent monitoring company, www.verifiedbets.com. Joining a third party monitoring company, we required to use only their records table and need to login daily to submit our member tips. By doing so all our tips is 100% genuine. Join us today and start winning with the scam free experiences. IMPORTANT: Unlimited Soccer Tips is a sport imformation website, while odds and betting lines are parts of that information. We do not provide monetary gaming or gambling capabilities on its site, it is is very important to check the laws and regulation in your own country regarding gambling and betting, as it might differ from country to country. We are not responsible in any way regarding picks and predictions posted on its site. Copyright © 2008 Unlimited Soccer Tips. All Rights Reserved.